NEW BRITAIN - Major League Baseball and the Atlantic League of Professional Baseball Clubs announced a number of new rules changes for the independent league as part of their partnership back on March 8. Now, some of those new rules will be pushed back the two leagues announced on Wednesday. 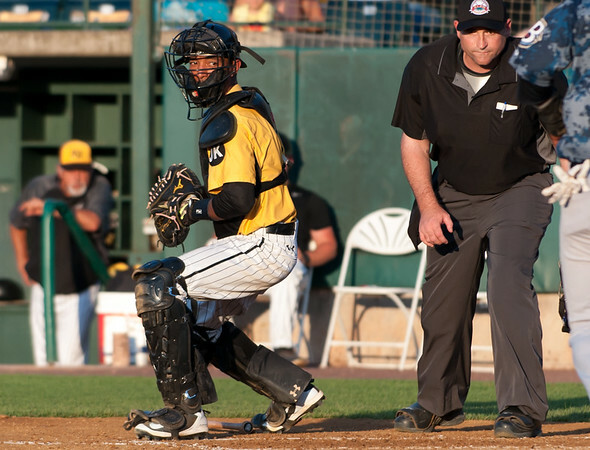 The use of the TrackMan radar tracking system to assist home plate umpires in calling balls and strikes will be implemented gradually over the course of the Atlantic League’s upcoming season rather than on Opening Day. The plan to extend the distance between the pitching rubber and home plate by two feet has also been delayed from the second half of the upcoming season to the same point in 2020. Part of the reason to push these two changes back was MLB’s and the Atlantic League’s desire to have the upcoming technology upgrades in the independent ballparks be fully installed and calibrated prior to implementation of the experimental playing rules. Posted in Newington Town Crier, New Britain Bees on Wednesday, 10 April 2019 16:29. Updated: Wednesday, 10 April 2019 16:31.